A module for ProcessWire CMS/CMF. Grant/deny access to pages according to query string. 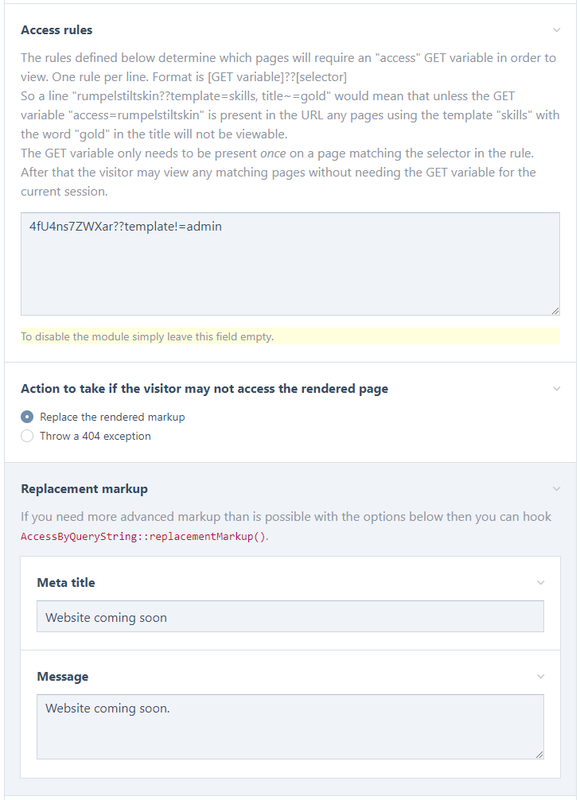 ...means that any pages using the "skills" template with the word "gold" in the title will not be viewable unless it is accessed with ?access=rumpelstiltskin in the URL. So you could provide a view link like https://domain.com/skills/spin-straw-into-gold/?access=rumpelstiltskin to selected individuals. If replacing the rendered markup you can define a meta title and message to be shown. Or if you want to use more advanced markup you can hook AccessByQueryString::replacementMarkup().